I got to hang out with some of my favorite designers tonight! One of them is working on a project for a niche company that requires them to use solely material icons. The entire project is complete other than one pesky icon. All 6 of us took a look at it together and not one of us was able to come up with an icon selection that fit. It’s one of those impossible icons that consumes your thoughts. Because there HAS to be an icon that makes sense, right? Wrong. 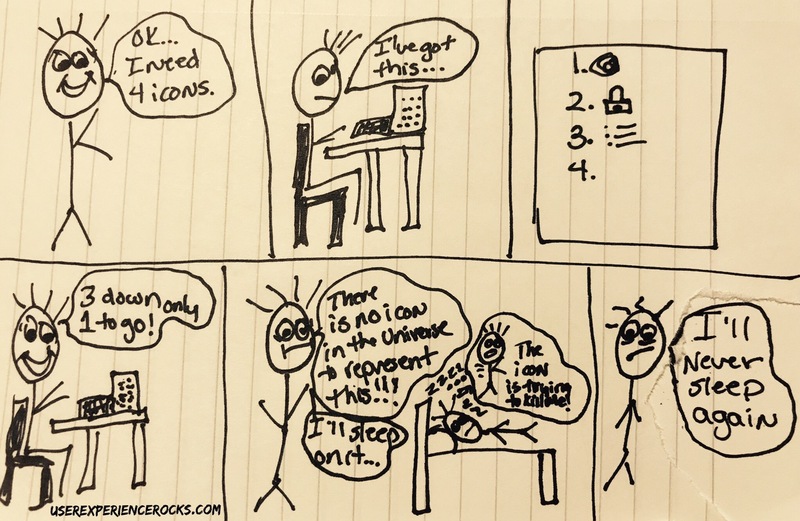 It is always that last freakin’ icon! Hurumph!